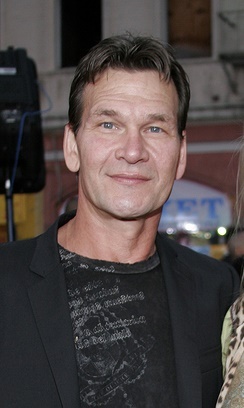 Patrick Swayze was an American dancer, actor, singer, and songwriter. He was the son of Patsy Swayze (born Yvonne Helen Karnes), a choreographer, dancer, and dance instructor, and Jesse/Jessie Wayne Swayze, an engineering draftsman. Among his siblings is actor Don Swayze. He was married to writer, director, actress, and dancer Lisa Niemi, until his death. It has been written that Patrick had distant Apache Native American ancestry. No documented Native American ancestry is listed in any publicly available family trees of Patrick Swayze. Patrick was selected People Magazine’s “Sexiest Man Alive” in 1991. Patrick’s surname originates with a man named John Swazey/Swezey/Swasey, who was born, c. 1621, in Sherborne, Dorsetshire, England, and who died in Suffolk, New York. Patrick’s paternal grandfather was Jesse Elijah Swayze (the son of James Wesley Swayze and Sarah Elizabeth “Sallie” McDonald). Jesse was born in Texas. James was the son of Alexander Pope Swayze and Amanda Mary Frances Littleton. Sarah was the daughter of Joseph Joel McDonald and Saphronia/Saphrona Barrett/Castleman. Patrick’s paternal grandmother was Mamie Bell Johnson (the daughter of Duncan/Dunc Malcolm Johnson and Mary Anna McGee). Mamie was born in Texas. Duncan was the son of Peter Johnson and Elizabeth. Patrick’s maternal grandfather was Victor Elliott/Elliot Karnes (the son of William Charles Karnes and Pearl Lovejoy). Victor was born in Texas. William was the son of Victor Carson Karnes and Frances Helen Turner. Pearl was the daughter of Reason Elliott/Elliot Lovejoy and Martha Lucinda Hornsby. Patrick’s maternal grandmother was Gladys Mae/May Snell (the daughter of Oscar Snell and Lillian Jones Hughes). Gladys was born in Texas. In one census record, Gladys’ father is listed as having been born in the Netherlands. So, did Oscar Snell really exist, and was he Dutch? I’m not sure where you got that French Norman root for “Swayze” surname. It just sounds German.